Lower Seletar Reservoir is a reservoir located in the northeastern part of Singapore, to the east of Yishun New Town. The reservoir has a surface area of 3.6 km², and a capacity of 9.5 million m³. The mean depth of the reservoir is 2 m, with a maximum depth of 5.5 m. The shoreline length is 14.3 km. In 2004, Public Utilities Board (PUB) allowed sailing at Lower Seletar Reservoir. This was done in collaboration with the Singapore Sports Council (SSC) and the Seletar Country Club. This is the first time sailing was introduced in local reservoirs. Sports fishing is also carried out at designated areas of the Lower Seletar Reservoir. Here's the our members favorite photos of "Lakes in Singapore". 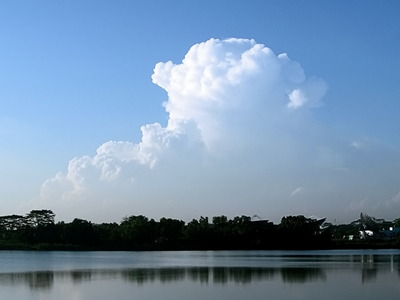 Upload your photo of Lower Seletar Reservoir!